Clutter has a cost. It steals your storage space, robs your time and energy, and takes away the peace and beauty of your home. Don't pay for it another minuteget organized, now! 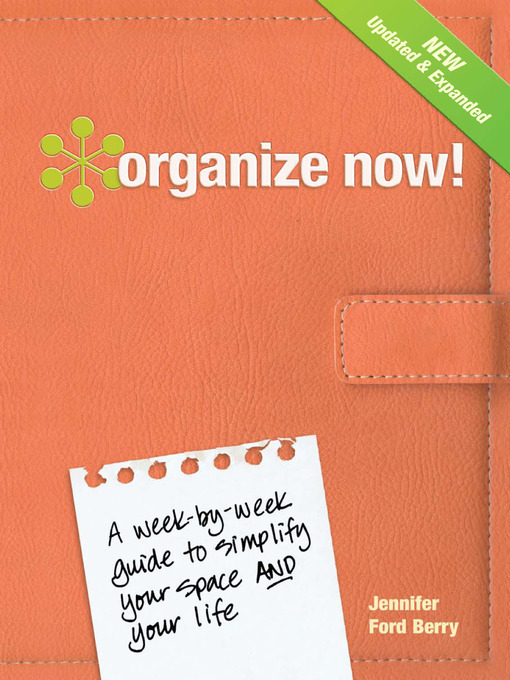 This updated and expanded edition of the bestselling Organize Now! features even more quick, effective organizing ideas. Easy-to-follow checklists show you how to organize any part of your life in less than one week. You spend more time organizing and less time readinga perfect fit for your busy lifestyle! Long-term goals help keep the clutter away for the months and years to follow, so you can maintain the order you create. You'll find help with everything from time management and routines to mental clutter, paperwork, pets, purses, toys, rooms and life events such as moving, and celebrating the holidays. Special money saving tips show you how to use your organizing efforts to cut costs around the house and even make a little money. Don't let piles of paperwork, overflowing closets and overbooked schedules drain your resources and energy anymore. Take control with Organize Now!